Turning 60 has never been this exciting! 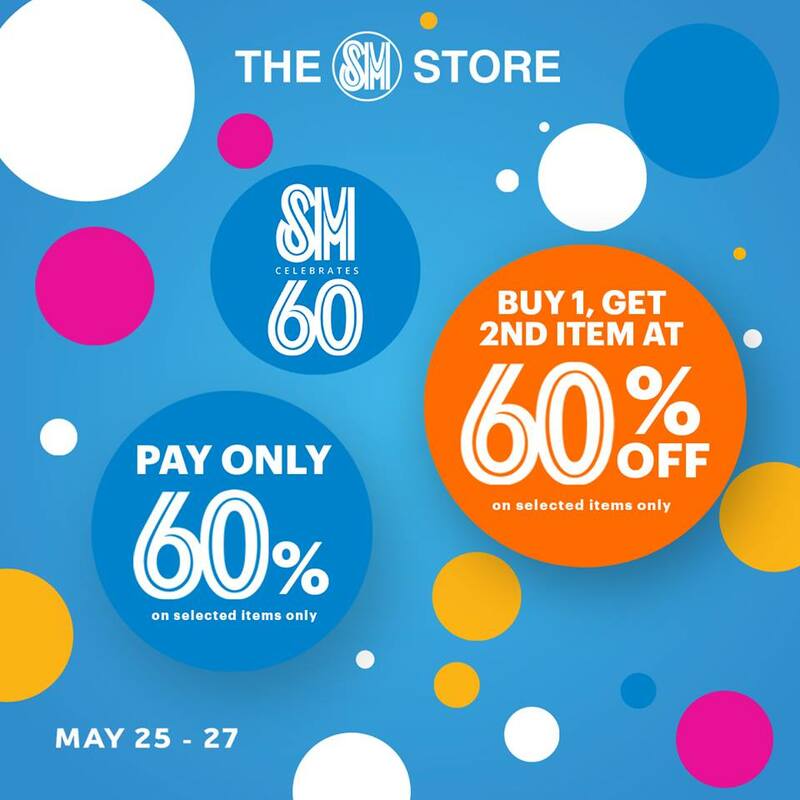 SM celebrates their 60th Anniversary with AweSM deals and discount! Check out the SM's 3-day Anniv Weekend SALE happening on May 25-27, 2018 across all SM Malls nationwide. 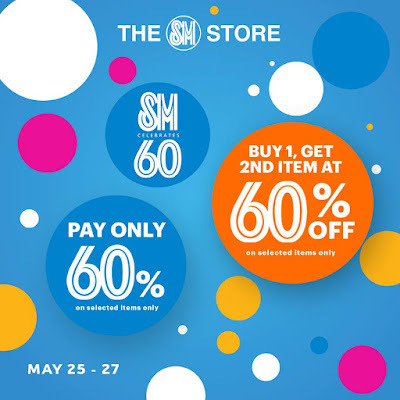 Enjoy these exciting offers: Pay only 60% on select items and buy 1, get 2nd item at 60% OFF in all The SM Stores nationwide! 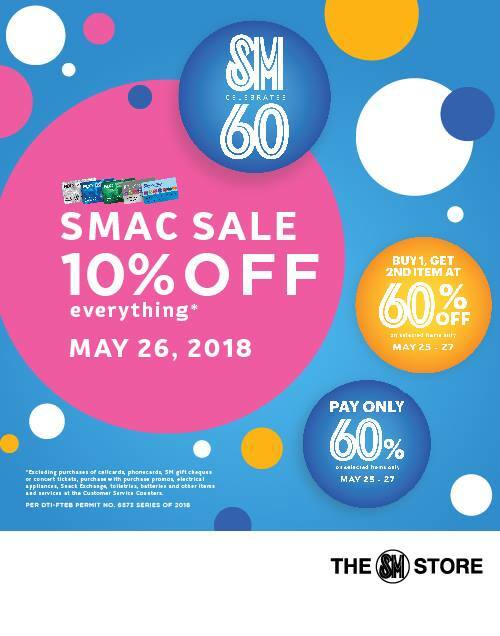 SM Advantage, SM Prestige, and BDO Rewards cardholders get extra 10% OFF on everything during the SMAC Sale on Saturday, May 26, 2018 at any branch of The SM Store and select SM Retail stores nationwide. Promo is valid at SM Bacolod, SM Iloilo, and SM Puerto Princesa until 12 midnight. Promo is not valid at The SM Store Telabastagan and The SM Store Urdaneta. Promo is not valid on purchases of cellcards, phone cards, SM Gift Cards, concert tickets, purchase with purchase promos, electrical appliances, Snack Exchange, toiletries, batteries and other products and services of The SM Store Customer Service. Promo is not valid in conjunction with other ongoing promotions or coupons.